With extensive advanced training in visual screening, eye surgery, and diagnosing chronic conditions, Nina Saa, OD, offers both routine checkups and urgent-care eye treatment. Dr. Saa welcomes patients to VistaSite Eye Care in New York City. As a Bronx native, Dr. Saa stayed in her hometown for much of her education and training. She completed her undergraduate studies in science from Pace University in New York City. Dr. Saa then conducted research projects in optometry with State University of New York College of Optometry. 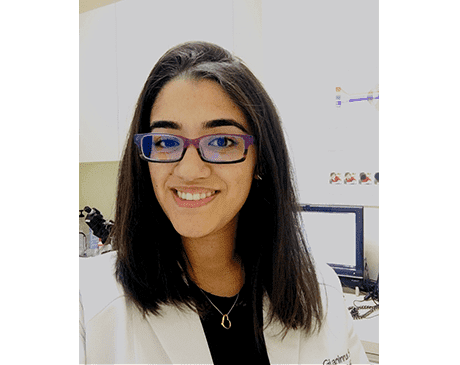 After focusing on vision screening research, Dr. Saa ultimately graduated with her doctor of optometry degree from the Interamerican University of Puerto Rico. Throughout her internship training, Dr. Saa was able to care for patients of all ages, from children to geriatric adults. She went through comprehensive hands-on training with vision therapy exercises, syntonics (light frequencies), and atypical tailored treatment for the most complex of eye conditions and surgeries. Whenever possible, Dr. Saa strives to serve her community and provide care for the underserved. She’s spent time working with Volunteer Optometric Services to Humanity on their Caribbean mission trips to give free eye exams and eye care for patients in need. Dr. Saa’s fluency in both English and Spanish allows patients of multiple cultural backgrounds to effectively communicate with her. Her patients commend her caring and compassionate bedside manner.